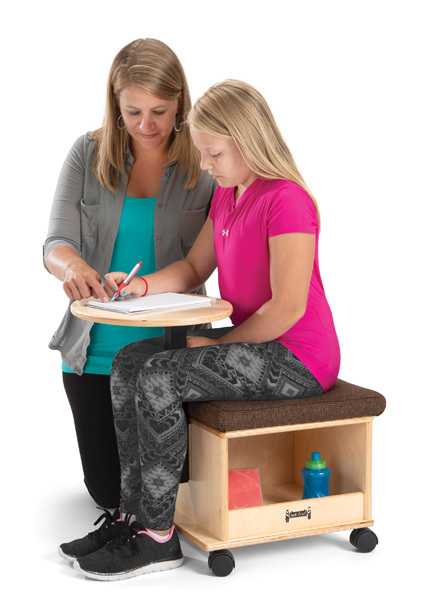 This all-in-one mobile seat is the perfect option for small group and collaborative learning. 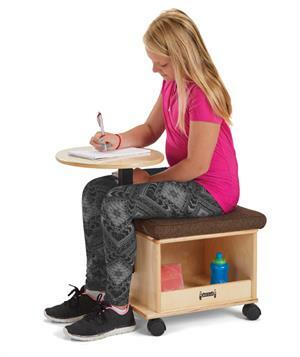 The 13 3/4" x 17 3/4" fixed oval desktop creates a place for writing while the 1.5" thick high-density foam cushion provides exceptional comfort. It’s wrapped with an extra-durable and E-Z to clean espresso-colored fabric that meets CA-117. Open storage space below keeps books and other materials handy. It features a 15” seat height and four, swivel casters to provide easy mobility. 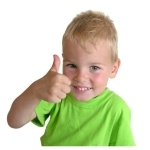 Not only is it great for students, but it can also be a handy helper for teachers! 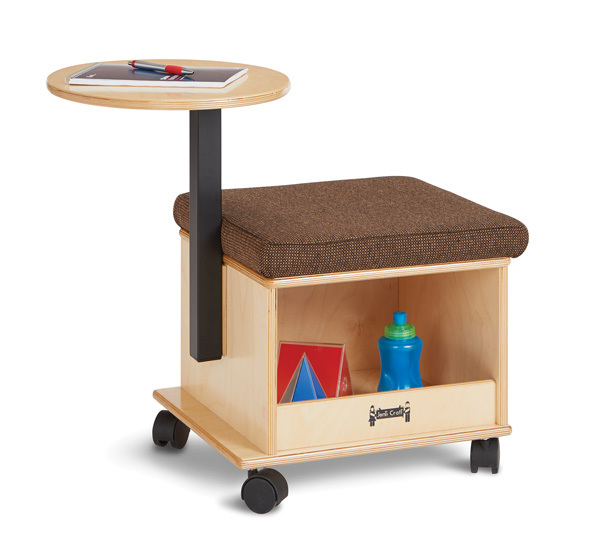 Jonti-Craft is the leading provider of Mobile Learning Pods for the early learning market.